You know how sometimes you start reading a book and you can tell from the first page that you’re going to not just like it but love it? That’s how I felt when I started reading HEX HALL by Rachel Hawkins. I was cracking up on page two and devoured the first book in an evening and two nap times (yep, still part of the Disney read-a-thon). I was dying to read the other two books, and of course the library only had those as hardbacks, so I had to wait until we returned, but I’ve now finished the whole series. So, here’s the description for the first book, and I promise to keep this spoiler-free. 1. The humor – As I mentioned at the beginning, this book had me laughing from the very beginning. It starts with a prom that goes very wrong thanks to Sophie’s magic, but it is hilarious, and there are many more crazy situations to come. 2. The voice – I almost put this down as sarcastic voice, but there’s more to it than that. Sophie has a smart mouth that sometimes gets her into trouble and other times makes people laugh, but it’s her unique way of looking at the world, drawing on pop culture and history, that create the complete package. Here’s a line from the third book that won’t spoil anything but gives you a hint of the voice. In response to deciding whether or not to run away, she says, “…that’s like putting a Band-Aid on Marie Antoinette’s neck.” Who thinks to say something like that? I love it! 3. Archer – Once again, my weakness for obnoxious boys shines through. Archer is the perfect foil for Sophie. I love their conversations. They’re like something out of a Katherine Hepburn movie. If I still had the first book here I would give you an example, but anything I included from the third book would be spoilery, so you’ll just have to go read the books yourselves. 4. The twists – Oh, you all know I love a good twist. 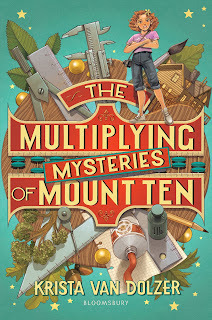 They keep coming in this series, and while I anticipated some of them–because Ms. Hawkins did an excellent job hinting so they didn’t come out of nowhere–there were still some surprises. 5. The pacing – These books were very quick reads, and I was impressed with how Ms. Hawkins kept up the pace, managing to introduce so many new elements without it getting confusing. It was very well done. Who are some of your favorite authors, the ones where you have to read everything they write? I’m always looking to add more to my list! 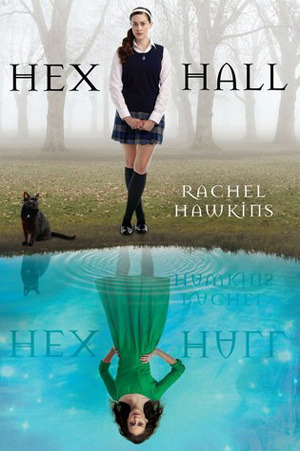 Haven’t read the Hex Hall series, but read School Spirits by Rachel Hawkins and thought it was wonderful. Should have put these on my TBR list a long time ago! The nice thing is that the Hex Hall characters are only mentioned once or twice, so even though there’s a minor spoiler in School Spirits, you can totally read those after it.